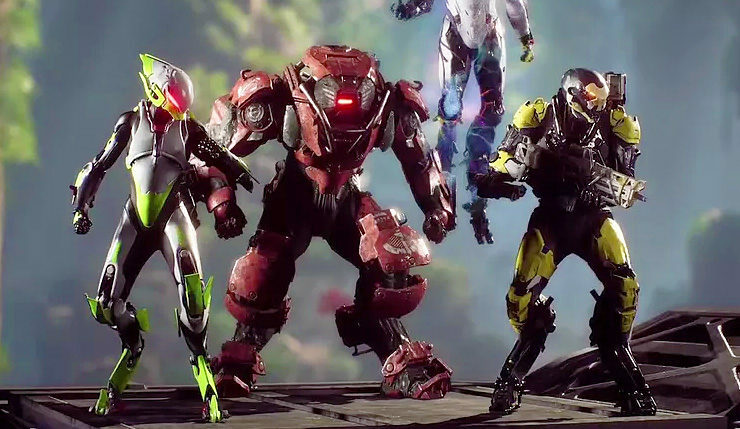 With the release of Anthem just a bit over a month away, BioWare has teamed up with IGN to open up the gameplay floodgates. Our latest chunk of footage provides a look at Hidden Depths, one of the game’s more elaborate and story-heavy side missions. In Hidden Depths, you and your squad are out to collect an ancient Elysian manuscript, but finding it is no easy task. Players have to locate a series of map fragments, which eventually reveal that the manuscript is buried deep within an underground chamber. Accessing the ancient chamber requires a lengthy dive underwater, and once there, you’ll have to deal with a big nasty fire boss. You can check out the full walkthrough of the mission, below. I have to say, I do like the variety I’m seeing in Anthem’s missions. The way Hidden Depths progresses, and the sights you see along the way, really set it apart from that early-game mission we showed you a couple weeks back. I particularly appreciate the amount of exploration and puzzle-solving we get to see in this mission – sure, blasting baddies is fun, but it can get repetitive pretty quick if that’s all you do. Hopefully BioWare is taking the time to make all Anthem’s missions feel relatively unique.